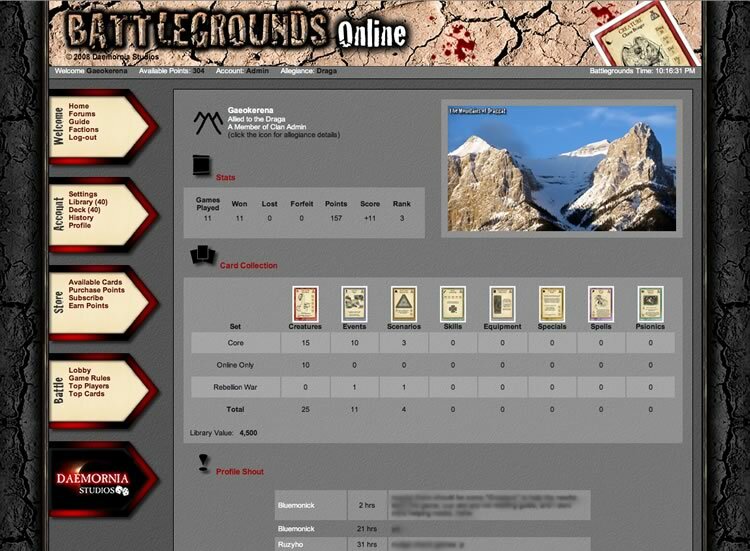 Daemornia: Battlegrounds Online is a massively multiplayer browser-based strategy card battle game of skirmishes between rival armies. 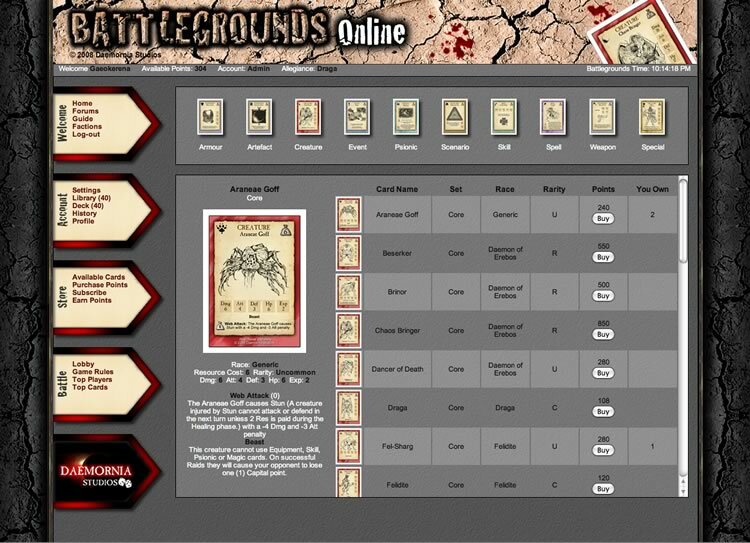 It takes place using a series of cards depicting creatures, scenarios, equipment, skills, events and more. It is played between two or more players using a deck of 40 cards each and requires a degree of tactical thinking in selecting the right force.